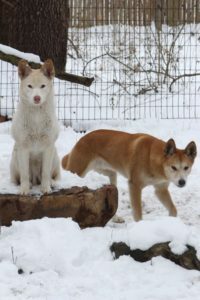 The pure genetic line of dingoes is decreasing due to crossbreeding with domestic dogs (hybridization). 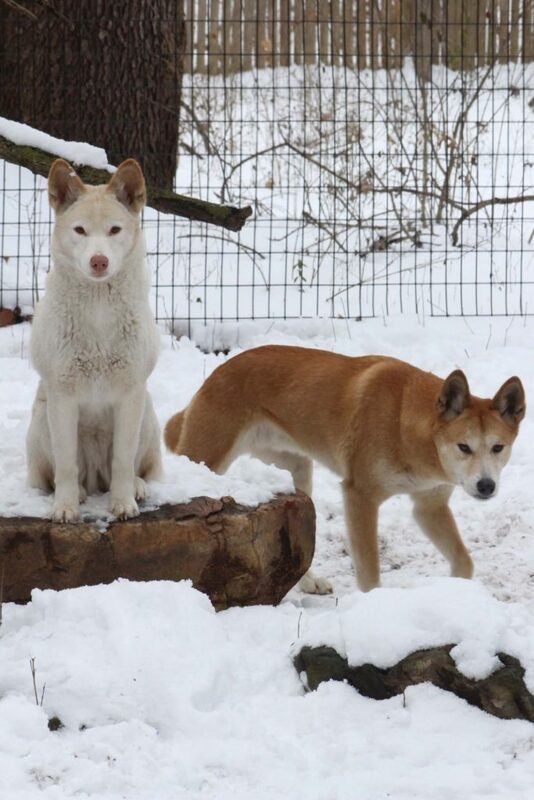 Legal ownership of dingoes increases the amount of hybridization. Their meat and teeth are used, and, like wolves, they are persecuted by farmers for taking livestock. 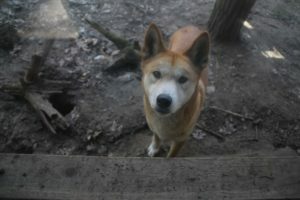 However, the dingo is necessary to keep invasive species in Australia (rabbits, red fox, and feral cats) under control. These species negatively impact native Australian wildlife. In Australia, the dingo is protected in National Parks, World Heritage areas, and on Aboriginal reserves. No such reserves or protected areas are set aside for the dingo in Asia. Purebred dingo lines are being conserved because, while some may say the dingo is only a dog, it may behave differently than a feral dog. 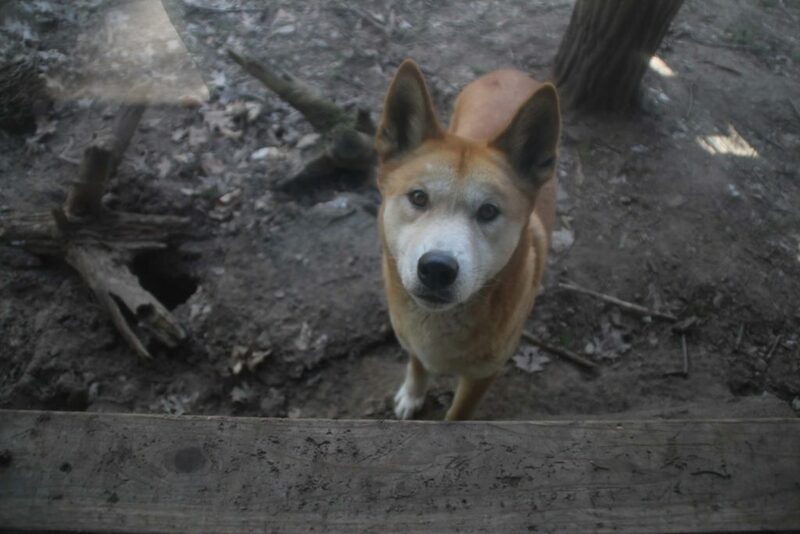 The dingo has relatively long legs for its size and has good speed and stamina. They tend to be a sandy color with a lighter chest, feet, and tip of the tail; however, they can be all white or all black (extremely rare). They may have some black or white markings on them. 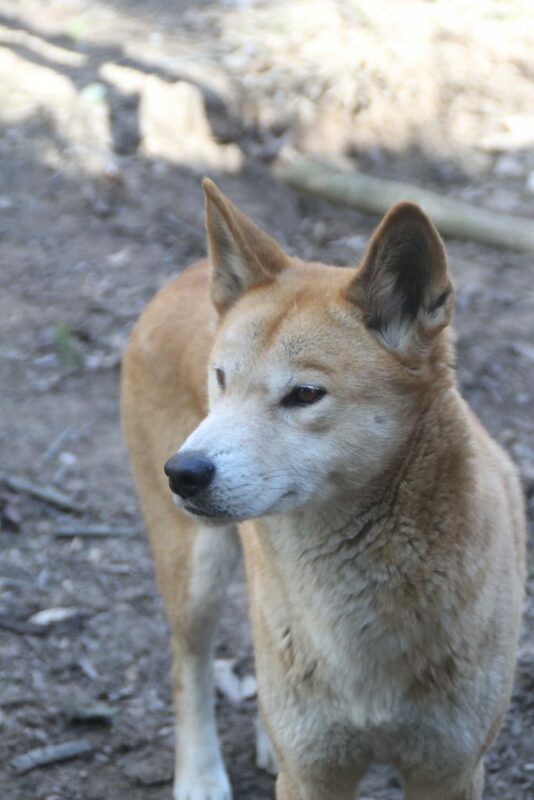 The dingo tail is bushy and they have larger carnassial and canine teeth. 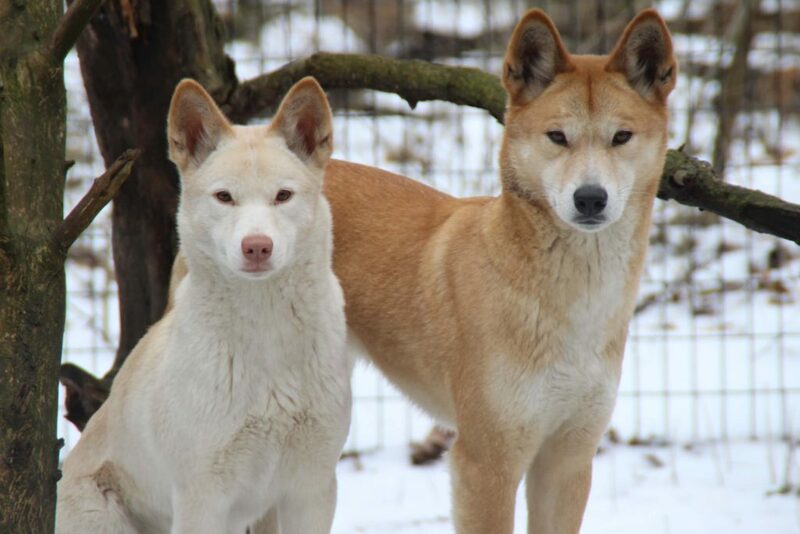 Northern Australian dingoes lack a double coat that other Australian dingoes have. Length from head to tail is 112-142 cm. Shoulder height is 40-65 cm. While the Dingo is typically believed to be a native Australian animal, it actually originated in Asia and was brought to Australia 3,500-4,000 years ago. Genetically pure lines are found in Thailand and northern Australia, although Dingoes can be found throughout southern Asia and Australia. They are found in virtually all habitats within their range from tropical wetlands to forests to deserts to mountains. They tend to prefer to live close to some water source. When gathering for mating, dingoes will form packs of 3-12 individuals made up of a dominant male, female pair, and some subordinate relatives. Only the dominant female is allowed to have pups (one litter per year), and she will kill other pups that are not hers. The pups are independent at 3-6 months and females reach sexual maturity around 9-12 months old (however, they don’t start breeding until around 2 years old). Males reach sexual maturity around 1-3 years old. Dingoes are opportunistic carnivores and will hunt small prey like rabbits, birds, lizards, and rodents, or large prey as a pack to take down kangaroos, wallabies, and sheep. Asian Dingoes will eat human scraps as they are found in close proximity to humans. They have been known to eat some plant material. They tend to be more solitary than other canines and will come together for mating, although they have been known to work together to bring down large prey. Dingoes will make their dens in caves, holes, and hollow logs. 1. There are more black dingoes found in Asia than in Australia. 2. Dingoes are the primary mammalian carnivore in Australia. 3. Dingoes are not a breed of dog. While they may have been domesticated at some point (uncertain) in Asia and were brought to Australia, they are no longer considered domestic. 4. To keep the Dingoes away from farmland in Australia, a fence originally 5352.5 miles (now 3488.4 miles) long was constructed. 5. They have flexible wrists that allow them to climb and even open doors. 6. It is a myth that Dingoes do not bark.